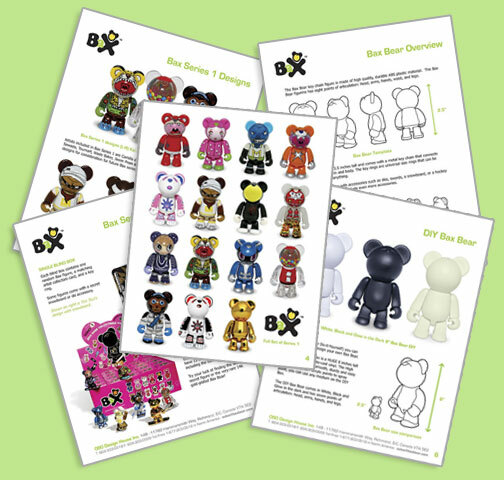 New to the Bax bear products? Want more information on the figure and the series 1 designs? 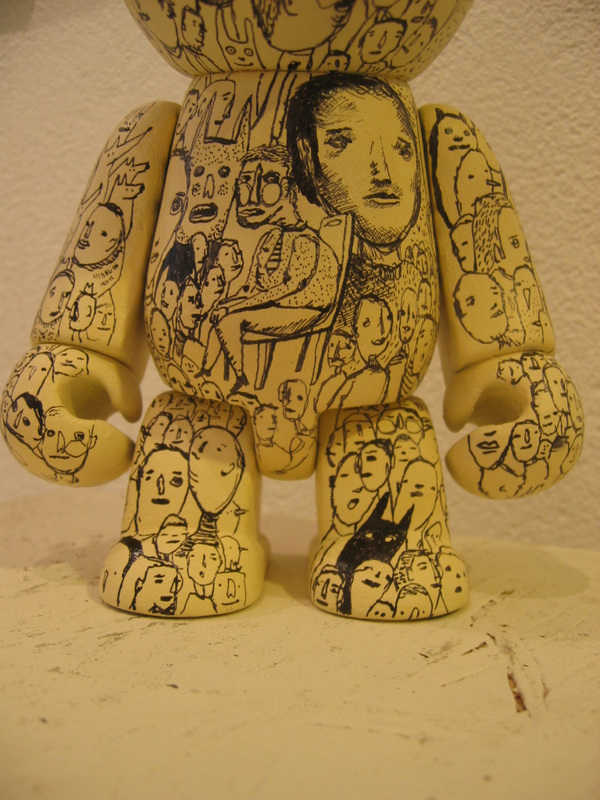 Is your company interested in teaming up with us for a cross-over Bax figure? 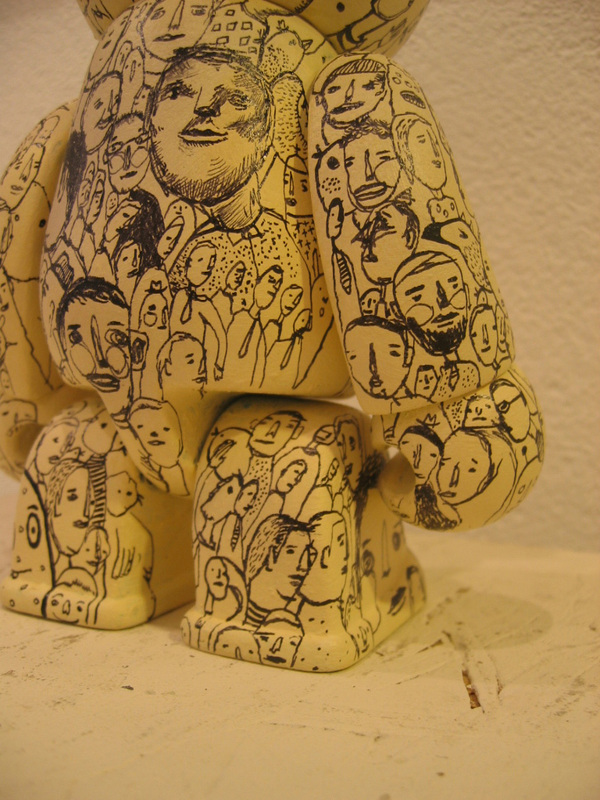 We’ve uploaded an information package about our Bax figure. 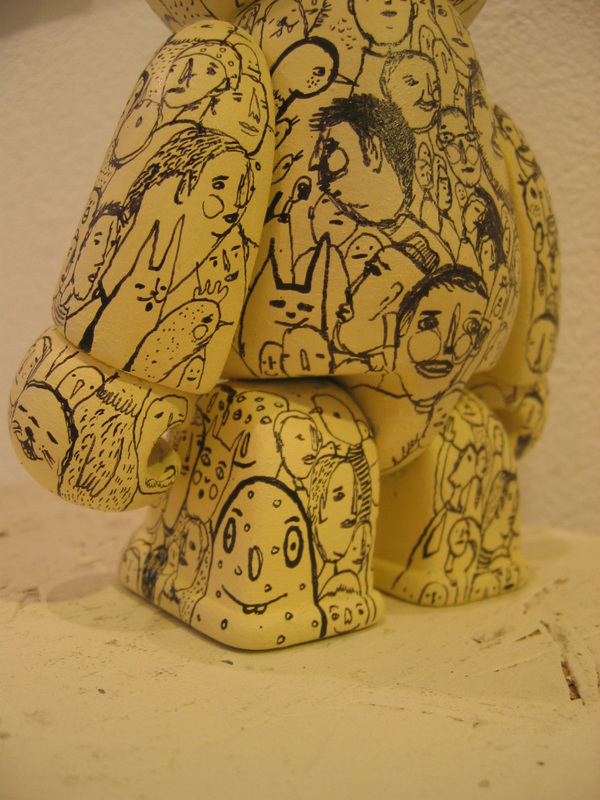 New Jersey’s The Artist’s Eye Gallery and Shop is having their first Bax DIY custom show this February. 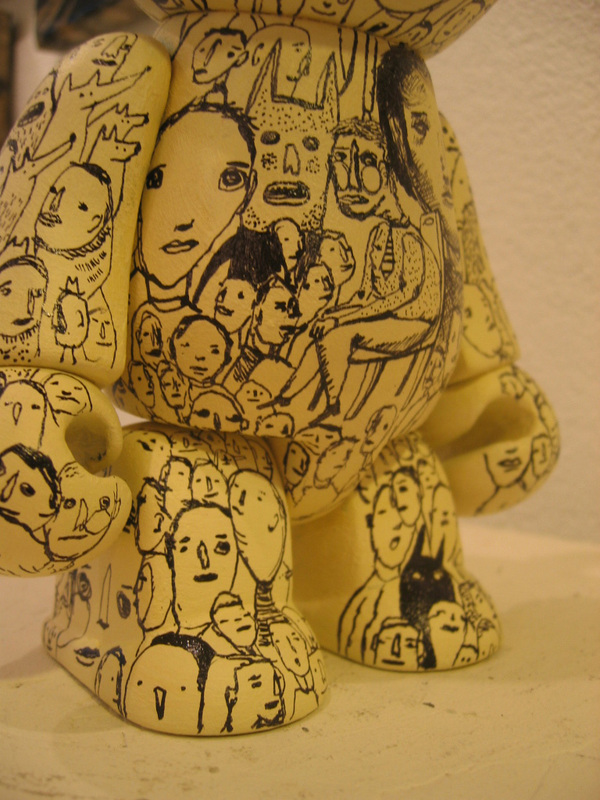 This show is open to any and all artists. You can read Dylan’s full post here about this fun event. 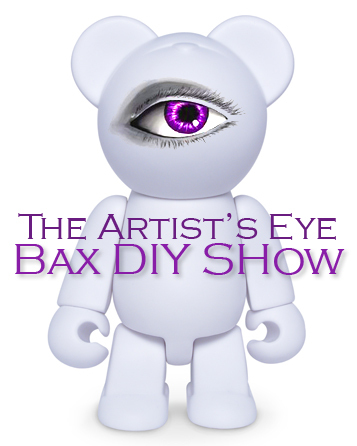 Contact the Artist’s Eye to get your hands on a Bax DIY and get your entry in ASAP! “Come join the festivities, as The Artist’s Eye gallery holds their first of many Baxbear events on Saturday, February 16th, 2008 from 8pm to 11pm. The amazing custom designs will be on exhibit by artists from all over the world and many will be present for you to meet. Directions: From the Garden State Parkway take exit 48 directly onto Route 9. Follow this road to the first traffic light (about 3-4 miles) to the intersection of Route 9 and Moss Mill Rd. (There is a CVS on the corner.) Make a right onto Moss Mill Rd. 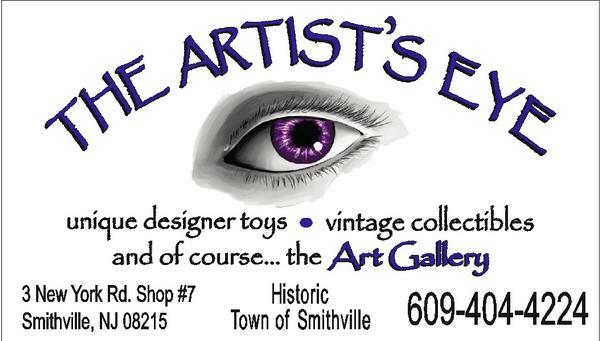 Take the second entrance into the parking lotof The Shoppes of Historic Smithville. The gallery is on the lake andthere will be signs posted to direct you. For more information, contact Michelle at 609-404-4224. We got this great custom 8″ Bax DIY from our pal Hello Brute (aka Jon Knox Griffin) With 3 eyes, argyle sweater and sweet stache it makes this guy look like someones wacky triclops dad! 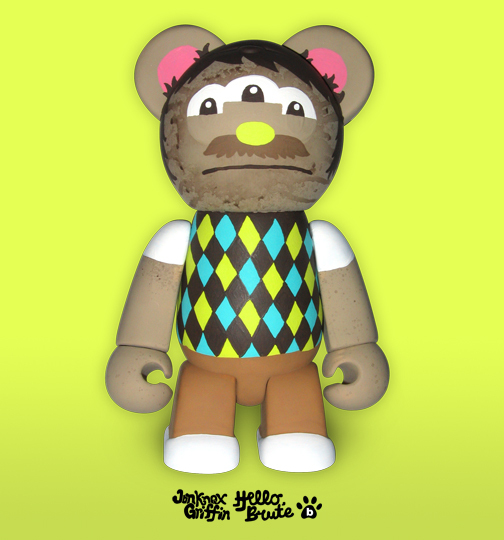 Keep a look out for Hello Brute’s other Bax design in our future 2nd series! All very hush-hush for now! 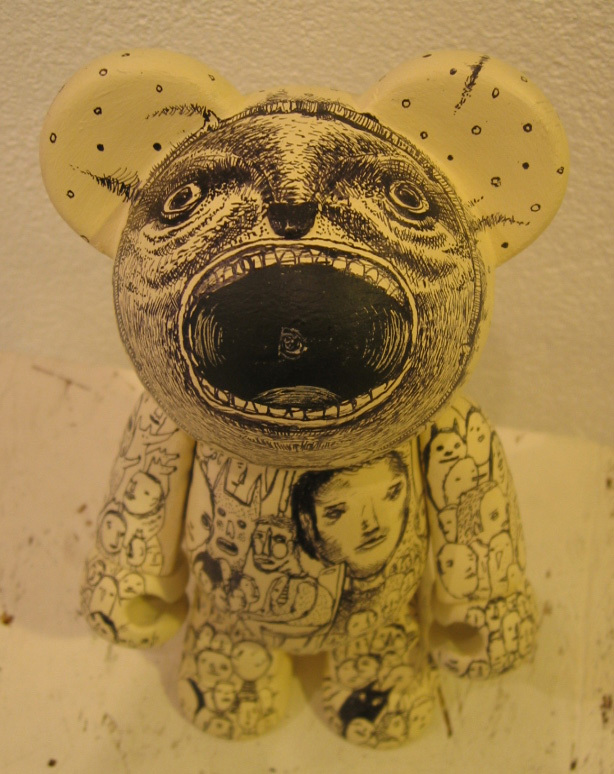 Taken from Collin’s blog site – “Yesterday i finished a Baxbear custom toy, for this one i wanted to do a more traditional technique with the good old pen and ink, it came out pretty well i guess. For price and availability mail to: collinvdsluijs@gmail.com” Great job Collin!